The last one-week was a very memorable one. I was back in Cornell University teaching a leadership seminar titled ‘Leadership for Global Citizenship’. The response from the undergraduate students from many different schools within Cornell reassured me that not only is the subject interesting for students, but many of them are willing to make it a lifetime effort. This was also the time of the year when it was cold and snowing in Ithaca. The whole ground was painted white. One saw everyone wrapped up in all kinds of warm clothes, determined to send a message to nature that their lives would go on, come what may! But Mother Nature, as always had other ideas. She decided to strike with a fury that was not seen in this part of the world for a long time now. 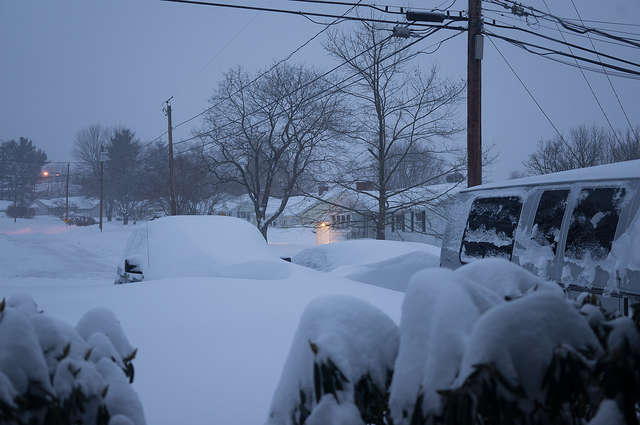 Some even called it the ‘blizzard of the century’. I found it very inappropriate that it was named as ‘Blizzard Nemo’. Nemo in my mind was the gentle fish that one saw in the children’s movie many years ago. This blizzard was nowhere near being gentle. It dumped feets of snow all over the North-East and New England region, with wind speeds in excess of 25 mph. Boston and New York bore a substantial portion of the brunt. Upstate New York was also not spared and we had our share in Ithaca too. What was worrisome to me was the cancellation of thousands of flights out of the airports in these cities. I was done with my teaching on Friday and had to fly out of Syracuse on Saturday morning. The 90-mile drive from Ithaca to Syracuse was indeed a great experience. Mr Patrick, who was driving me in the Shuttle from Ithaca was a jovial 75 year-old who very reassuringly told me that he had years of experience driving in the snow. I was impressed not only with his driving but also by the promptness in which the snow was continuously cleared from the main streets and freeways. Hundreds of people brave the cold and risk their lives to make sure the city roads are kept as safe as possible. They work round the clock and are the invisible heroes who will only be noticed if they do not perform their jobs. But their contribution sadly goes unsung. What impressed me was the promptness with which this was done all across the region. Each of the affected States had contingency plans that actually worked. While one state had declared an ‘Emergency’ (very different from the Emergency that we Indians who lived through the 70s are used to), others had disaster management plans in operation. It was indeed impressive that so much could be done under such severe conditions despite the constraints that nature brought in its way. The human spirit is indeed very resilient and all this could be seen in the way the system tried to restore normalcy. These are indeed the times when ‘Governance’ is tested and one is indeed glad that there has been so much learning from the mistakes committed in managing the recent Hurricane Sandy in these same parts. For the first time in my life, I walked into an airport that was completely empty. All flights had been cancelled out of Syracuse airport and I was wondering if mine would fly out in time. As I sat and watched the hundreds of people making the airport functional again, I was reassured by the changing weather and the bright sun that seemed to have come out of nowhere. Thankfully, the flight that I was talking out of Syracuse was the first to operate that morning and I could leave on time and reach warm (in comparison) Los Angeles later that evening. Only when one lives thru blizzards like these, can one truly appreciate the wonderful weather we enjoy in Mysore.